Asteroid Ceres enters Sagittarius at 10:05 pm GMT on 27th October. Ceres speaks to us of attachments and where we develop them. Of the identifications we make which either help or hinder our sense of self-worth. She speaks of the gains and losses which pepper our lives and points to the potential loss alive at the heart of every connection we make, be it with another person, a material object, an identity, belief system or lifestyle. For whatever means something to us, no matter the amount of pleasure we receive from it, the shifting nature of life inevitably means loss may be just around the corner, hidden from view but on the advance. Or it may not be, but we cannot tell either way. Such are the uncertainties of life: within every gain lies intrinsic loss and vice versa. As she enters the sign of Sagittarius, replacing Mars who has moved on to Capricorn, Ceres reminds us that the more we broaden our horizons the greater our ability to maintain resilience in the face of life’s inevitable losses. Whatever the recent eclipse season has brought to our door, be it joy or sorrow, famine or feast, Ceres lifts up our eyes now, to face the future with hope rather than fear, and faith not suspicion. The more we can do this the greater our ability to ride the waves of change and loss, not be overcome by them. Sometimes life changes in the blink of an eye, never to be the same again. A loved one dies, our health suddenly fails, we lose something or someone that meant the very world to us. Or perhaps we simply see ourselves in the harsh light of day and can no longer deny or avoid what we see. These experiences which seem to shift the very ground beneath our feet are plentiful at this time when the cosmos is moving piece by piece to realign Uranus with Pluto for their next show of strength in December. But Ceres holds our hand now and bids us expand rather than contract in the face of challenge. It may feel counter-intuitive for all of life is programmed for self-protection above all else and we are no different! However, she exhorts us in full knowledge that if we can do this – broaden our horizons, seek a different way, focus on a future that is different to the present if the present feels empty of promise – we are creating the very source of our own healing. She bids us now to heal into our future, not to dread it from the standpoint of present pain. This continued expansion no matter what necessitates that we repeatedly refuse to identify with anything which cannot expand with us, and therein lies the rub, for much of what we embrace as part of our self and identity is anything but expansive! So often we seek security over and above the freedom of expansion and thereby connect most strongly with those things which remain the same, predictably stable and securely familiar. We define ourselves a certain way which makes us feel better about ourselves and then stick to it even in the face of all evidence that we may have actually changed, if we were even really that way in the first place! We identify with our material goods, our home and lifestyle, the accolades handed down by society for hard work and commitment, only to find eventually that far from liberating they become burdensome, limiting our options as we have more and more ‘stuff’ to accommodate and protect as we go. We invest our all into relationships and friendships, partnerships and alliances, only to discover that our own changes and those of others render these allegiances increasingly problematic as we cling ever harder to what we suspect may in fact be a sinking ship. It is this clinging which Ceres points to now. It is not, she tells us, that relationships are wrong or that we shouldn’t enjoy the material fruits of our labours. It is simply that doing so with a mindset that expects them to remain the same, never change, never let us down or fall away is a recipe for suffering right there! To reach a plateau – in love, in material possession, in identity and achievement – and then stop sets in motion the wheels of loss, if not immediately then in due course, for everything follows its own nature and begins to diminish just as it once reached its own fullness and potential. But if we can embrace all of these things with eyes wide open to the fleeting nature of life’s pleasures, our embrace can be fuller in the present. We can live them and love them with a heart aflame with appreciation, whilst we continue to expand, beyond and beyond again, allowing our spirit to become ever vaster. ‘Love like it’s going out of fashion’, Ceres, whispers. ‘Embrace pleasure like you need it to breathe. 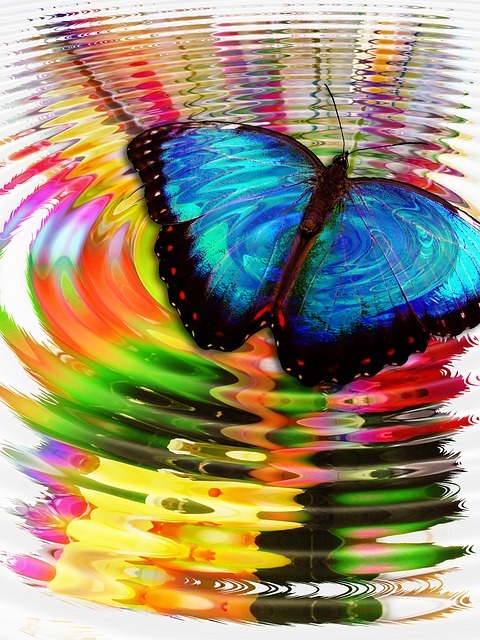 And know beyond a shadow of doubt that life can change at the flap of a butterfly’s wing’. Heeding her message will help us all taste the sweet nectar of life without hesitation and embrace blessings as they arise, secure in the knowledge that beyond all of these lays the truly peaceful heart, forever open, forever expanding. This heart embraces everything – the loves and the losses, the highs and the lows – whilst claiming none as its own on its journey ever deeper into the Divine.